Located in the Masai Mara, Cheetah Tented camp enjoys the purest African nature in an environment of great luxury and comfort on the banks of the famous Mara River, where the great wildebeest migration takes place. The camp is placed in the heart of the Mara-Serengeti ecosystem. This is the area where most of animal documentaries within the African continent have been shot. All guests have a private 4x4 Land Rover at their disposal 24 hours a day with a driver and an experienced Maasai guide. During their stay clients benefit from unlimited safaris and the meal schedule depends on how long they wish their safaris to last. The camp has been designed to welcome families as well as it includes an exclusive “camp” for youngsters. It enables the young ones to live their own adventure in tents right next to their parents. The exclusiveness of the camp lies in its limited number of tents. 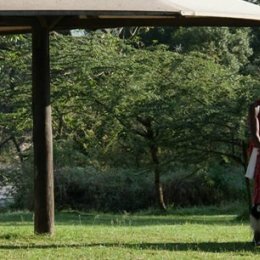 There are two luxury river tents overlooking the Mara river, one enormous suite, "Suite Mara River View" and another two classic African tents. Cheetah Tented Camp luxurious tents are located over the banks of the Mara River and allow you to contemplate from your comfortable privacy the life of the hippopotamus and crocodiles, as well as of the rest of animals that come to its shores, offering a daily spectacle that will make you to feel privileged intruders among such a great and gorgeous nature. All meals at the camp are freshly prepared by the camp's head chef, offering buffet lunches and set a la carte dinners. The camp chef will also ensure that picnic meals are readily available for all those who prefer to stay out in the bush all day long.